Do you want to get your brand recognised for all the right reasons? 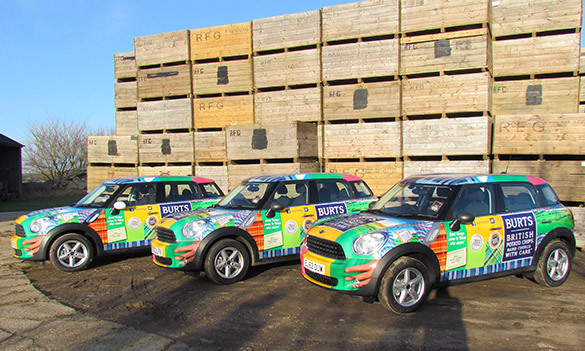 Here’s how to use your fleet as the ultimate mobile marketing tool! As people will often only glance at fleet vehicles, it pays to give vehicles the best possible chance of being noticed. A way to do this is to use strong visuals when fleet rebranding. Branding vehicles is a cost-effective way of advertising and potentially reaching a huge number of people who might not spot you in a magazine, on the internet or hear you on the radio. When it comes to designing branding for your company vehicles, you should sign write your company vehicles on the side and on the back. Logos need to be large and clear, as people will most likely be reading them from some distance on the road. The graphics need to be strong and concise to capture people’s attention. Once you’ve chosen the logo and strapline, you need to make sure people know where to find you. Keep the graphics clear and concise so that information can be taken in or jotted down quickly. Simply display your contact details on your fleet vehicles and wait for the enquiries to pour in. People will be able to see it whilst queuing in traffic and passing by parked vehicles in the street. It’s important to think carefully about your choice of vehicle. Jot down your business needs and find a car, van or lorry that will meet your criteria – if not for your sake, then for that of your clients. The type of car we drive says a lot about us, so be honest with the corporate image you want to project and choose vehicles that are best able to help you with that. Everyone is aware of the need to reduce carbon emissions, and your business may be judged by potential customers one how eco-friendly you are. By choosing cars that have a minimal carbon footprint, you can show potential customers that you’re committed to making a difference and will save you money in the long run. This will enhance your companies’ reputation and spare money to invest in other areas of the business. Even better, you’ll have the satisfaction of doing your bit for the environment, too!